January 24, 2018 3:07 pm. To truly conquer the thoroughbred racing world, first you have to win in Dubai. Conceived in 1996, the Dubai World Cup is a race for four-year-olds & up and for Southern Hemisphere Thoroughbred three-year-olds & up run over a distance of 2,000 metres and until the Pegasus World Cup came and trumped it, the DWC was the world’s richest race. The race routinely draws the best from America and the Arabic nations to compete for the prize, with horses from Australia, the UK and New Zealand rarely contesting the DWC. Held on a dirt surface, the Dubai World Cup was first held at the new Meydan Racecourse on March 27, on all-weather surface known as Tapeta. The race shifted back to a dirt surface back in 2015 to cater to the visiting Americans. North America is the favourite ahead of the Dubai World Cup. North America is the $4 favourite with online bookmaker Sportsbet. Defending champion Thunder Snow is on the next line of betting at $5.50 while Yoshida is sitting at the $8 quote. The Dubai World Cup is one of thoroughbred racing’s most popular events and the bookmakers act accordingly. All of the online bookmakers that we trust offer markets on the Dubai World Cup and our comprehensive reviews on the bookies can be found below. Thunder Snow was looking to create history in the Dubai World Cup in 2019 by becoming the first horse to go back-to-back in the event. After getting a charmed run in transit the Godolphin runner leveled off in the straight to contest the finish with US raider Gronkowski, with last year’s winner gaining the upper hand in the latter stages to secure the win. 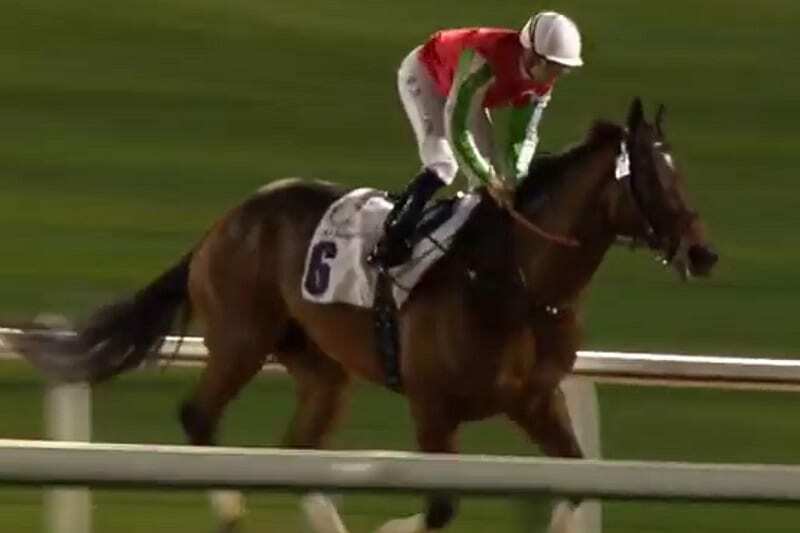 Christophe Soumillon pinched the Dubai World Cup with a strong front running ride. Pushing hard to lead early, Thunder Snow took the rail and dictated terms from the front. Kicking away in the straight the short priced favourite West Coast had no answer as the Godolphin runner streamed away to secure the win. Arrogate was the unbackable favourite going into the 2017 Dubai World Cup but after a tardy getaway favourite backers would have been nervous. Fellow American Gun Runner led for the majority of the race but entering the stretch Arrogate produced a blistering turn of foot to take to the head of affairs at the 200m and run away for the prize. One of America’s favourite sons California Chrome returned to Dubai after the disappointment of last year, hoping to go one better. It looked like it would be an onerous task for the jump from a wide barrier but under a brilliant and strong ride from Victor Espinoza the champ took the lead at the 400m and booted away to win. The pre-race betting was all about the invading California Chrome, but after a wide trip the energy was sapped heading into the latter stages. Prince Bishop was the one that toppled him despite getting off to a slow beginning. In a strong last-to-first finish Prince Bishop glided past California Chrome to deliver a brilliant performance in the Cup.